Port Moresby (EMTV): Papua New Guinean women engaged in business activities are expected to be given a boost in moral support and advice by a successful American businesswoman next week. Samira Cook Gaines, who serves as the Vice President of Business Development for the National Community Reinvestment Coalition in the United States, will be in PNG from 19th – 23rd August, to facilitate workshops with women groups, and speak to women in the banking industry and university students studying business. Her visit will be hosted by the United States Embassy in Port Moresby. Surveys on formal employment in PNG show that men are almost twice as likely as women to work for wages, 40 per cent of men compared to 24 per cent of women nationally. Women in formal sector jobs in PNG report average wages less than half that of men. In May this year, then Australian Prime Minister Julia Gillard launched the PNG Women in Business Initiative to help PNG women to take advantage of the country’s growing economic opportunities. The Initiative will support PNG businesses to facilitate connections between women in businesses and raise the status of women in workplaces. Samira Cook Gaines visit to PNG provides vision and leadership for four small business development centers: The Washington DC Women’s Business Center (DC WBC), a Minority Business Center in Washington DC and Manhattan - New York, and a Small Business Teaming Center. 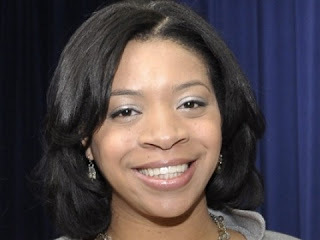 Samira Cook Gaines was the Founding Director of the Washington DC Women’s Business Center, which supports women entrepreneurs through training, individual consultation, mentoring, and business growth through government procurement opportunities and exporting. Under Samira's direction, the DC WBC has assisted over 1000 women in achieving their business goals. The workshops that she will be facilitating next week in Port Moresby are expected to be attended by about 50 women who are based in NCD. The women will be from the informal sector, as well as those who are small business owners. The speaker series by Samira Cook Gaines will cover areas such as basic business literacy skills, entrepreneurialism and empowering women to become leaders in their communities.